The Ego Trip is Amplid’s new super lightweight, fat, touring / big mountain ski. In the Ego Trip Big Mountain performance and dimensions meet Amplid’s weight saving Hexo2 honeycomb construction. 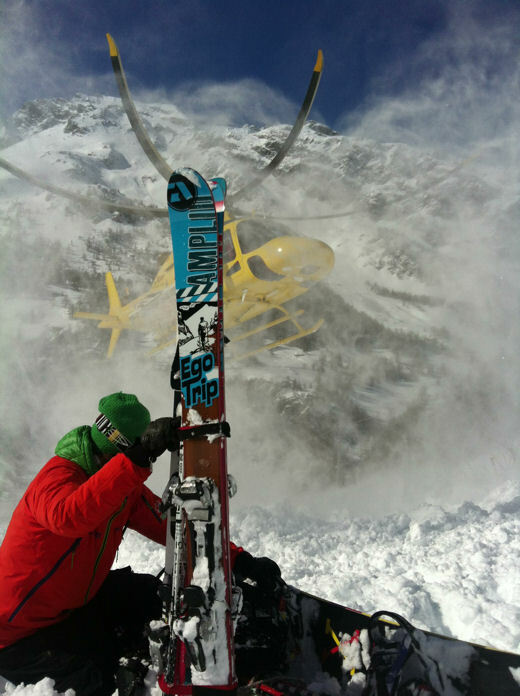 Guide Patrick Raspo has been pushing the Ego Trip to its limits at Heliski Valgrisenche in Italy which is also an Amplid test centre. Unfortunately the Ego Trip won’t be able to push you to your limits until next winter.